I know. There has not been much knitting 'round these parts. I did actually knit some stuff--I made a sweater for my sister and a stuffed elephant for my friend Nicole (or rather, her baby. She herself doesn't really seem like the stuffed elephant type). But I neglected to take photos of any of it, and I have to confess I really didn't enjoy knitting any of it. Obviously, finding time to knit is well-nigh impossible, so since I was knitting on a deadline (and when aren't we?) knitting was all I was doing in my spare time. I have so few moments when my arms are unoccupied that it was hard forcing myself to fill them with knitting needles. I am displeased with this turn of events. 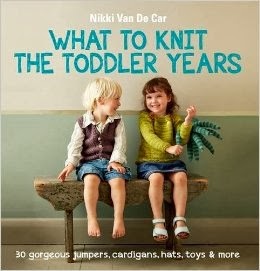 Of all the things I thought would change about my life once I had a baby, I never anticipated feeling anti-knitting. I'm sure it's just a phase, and the knit-love will return soon enough, but in the meantime, it's a little unsettling. As for the photoing of stuff I have managed to knit...yeah. Not really happening. I was going great guns there for a while, snapping photos of Willow in all her knit-layette, but then I discovered something. Knitwear? Not so great for babies. Who knew? It seems like such a good idea, doesn't it? But all this fuzz gets caught in the folds of her neck, and it's pretty gross. Some yarns work better than others--superwash sock is basically fine, but knitpicks comfy, despite being apparently designed for babies, is terrible. So. The knitting may, um, be a little absent for a while. Sorry you're in a knitting funk. Good to know about the Knitpicks Comfy not working well for babies! Thanks for the tip. I bet when your knitting mojo returns, it'll be full-force with projects everywhere. I'm with ya, my raverly page is looking very neglected! 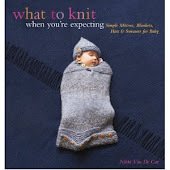 I've been trying to knit a waistcoat for a friend's newborn since March, but not making much progress. The poor baby will be too big for it by the time it gets it!!!! Ah well, I'm sure we'll get back into before much longer. Now where will I get my latest knitting news?